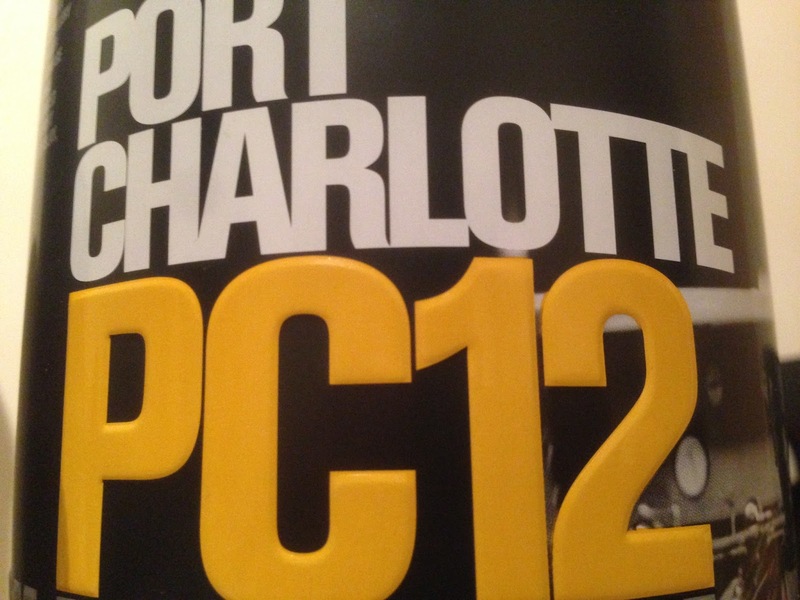 Dave's Whisky Reviews: PC12 Review and SULPHUR! Today I’ve a polarising dram. On the one end, me and Serge Valentin and the other, everyone else. It seems we have to discuss a polarising topic before the whisky: Sulphur. Sulphur tolerance in genetic I’ve heard, so that while one person may find a bottling horribly off-putting, others may dig it. Lots more the learn about Sulphur in whisky here. I find, along with Serge (although I can’t find the source), that there is good and bad sulphur. Good sulphur (to me) being a slight struck match note and bad sulphur being a cheap red wine/raw steak note. I first really encountered ‘bad’ sulphur on the Longrow Red Pinot Noir (I know, I know. Go grab your pitchforks). Really off putting taste of raw steak. An example of good sulphur for me is the young Ledaig’s from Sherry casks. There’s a great dirtiness to them which really enhances the whisky. Onto this one, this is peated Bruichladdich, aged for 10 years in bourbon barrels then a 2 year finishing in Sherry casks. 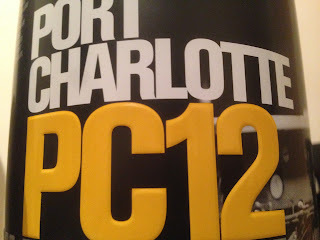 One of the older Port Charlotte’s available really, but not much availability outside airports. Serge on Whiskyfun found his sample sulphured too and gave it 72/100. Nose: Oh dear, rancid sulphur (Thinking of the Longrow Red Pinot), raw steak, cheap red wine, stuck match. Orange and vanilla. A little very crispy bacon. Water: Sulphur reaches bearable levels. Damp rotting wood, lemon, banana, charcoal, ash, soot. If you poured red wine over a campfire to put it out. After time- Sweet sulphur, cherry and orange. More water and time- Finally some peat! Damp ash, campfire, kiln, fruit pastilles, sulphur fading revealing more fruit- Mango, banana and apple. Taste: Sweet and spicy arrival, building winey sweetness with tonnes of orange and some sweet sulphur, peat smoke and bacon into the finish. Sherry, raisin, syrup, building spice and oak, tannins, sweet orange. Water: Bigger. Complex sweetness well integrated with spice with some peat smoke creeping out on arrival and into the finish. Cherry and orange juiciness. More water- A little less intense but still sweet and spicy with stewed fruit, orange and tannic oak. Finish: Long length. Orange and spice, dry oak and very crispy bacon with a little sulphur. Nose: Intense spiced orange, struck match, cranberry red fruit, black pepper, spicy ginger, some kind of orange cocktail, sulphurous smoke but not off-putting now. Taste: Soft arrival, building and intense orange, then huge spice, ginger, black and white pepper, red wine-esque fruitiness, cranberry, pomegranate. Finish: Long length. Soot, black pepper and sulphurous smoke, brimstone. Much better now, although it’s still a bit dirtier than I would like.